This product is a ready-to-use liquid designed for use as a stain pre-treatment in laundry operations. 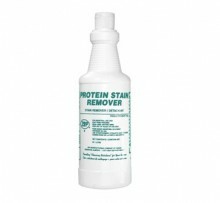 It has been formulated to penetrate the fabric and dissolve protein stains such as blood, food, and coffee for subsequent removal in the washing process. Click to View MSDS Sheet.